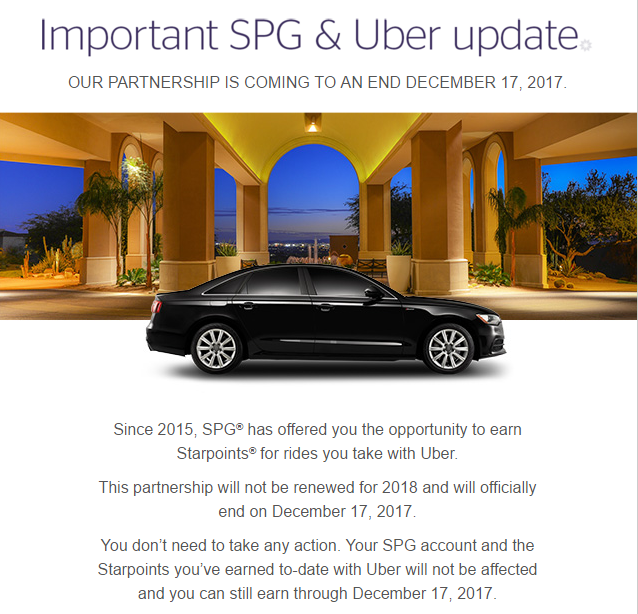 In a not so shocking move SPG has announced today that they will be ending their partnership with Uber which gave 1 Starpoint per $2 spent at Uber. It can only be assumed that this comes as a result of Uber launching their own credit card which will debut November 2nd. In the statement today sent via an email to all their members SPG was vague on the actual reason that they were ending the partnership and only offered an explanation that they would not be renewing their contract with Uber. For those fearful they will lose their earning this goes into effect December 17th at 11:59pm, you will still earn Starpoints through Uber until the date. 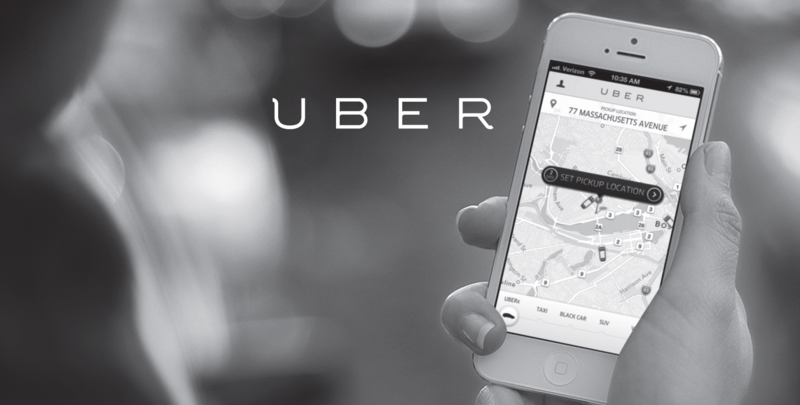 Since 2015, SPG® has offered you the opportunity to earn Starpoints® for rides you take with Uber. This partnership will not be renewed for 2018 and will officially end on December 17, 2017. You don’t need to take any action. Your SPG account and the Starpoints you’ve earned to-date with Uber will not be affected and you can still earn through December 17, 2017. It’s likely that contract renewal discussions went south as Uber was planning to launch their own credit card and wanted to attract their own customers to the card instead of earning with third-party cards or programs. We might likely see a continuation of Uber partnerships breaking down and ending as Uber focuses on its own brand and using its own resources to attract customers and offer perks to them through their own programs. I don’t believe this move will change things much, from the outside looking in I don’t think it will push a lot of people to get the Uber credit card. Instead, if their rival Lyft plays their cards right they might enter into some strategic partnerships for reward earnings through third parties and blast past Uber who are focusing on their own product. You can already earn Delta or JetBlue miles with Lyft and if SPG comes in it might pull some customers away from Uber to use the rival service. For me I’m not a loyalist, I use whoever is quicker and has better service. I’ve switched back and forth from Uber and Lyft and it seems like both offers about the same product seeing as most Uber drivers also drive for Lyft. I do lean a bit more towards Uber currently as my American Express Platinum card gives me Uber VIP status and 2X earning rates on all my rides, so it’s more value that I get over Lyft currently.